It’s coming… Apples 3.0 on Linux! Hey, it’s not even jailbroken! 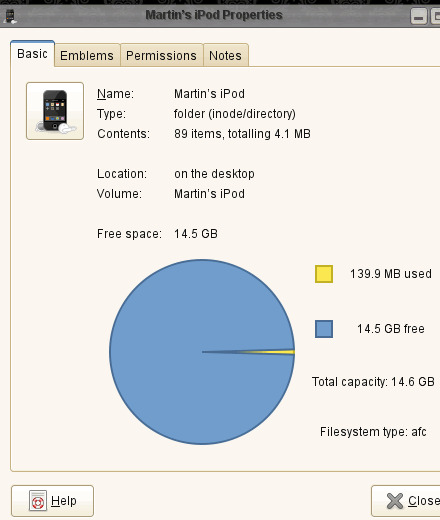 Plug in and use any iPhone/iPod Touch (1G, 2G, 3G, 3GS) up to and including firmware 3.0. Go figure! Packages for openSUSE will be ready once a proper release is out. Credits to a couple of very intelligent people for starting all this. Icon from Jonathan Zuniga under CC2.5. Previous: Previous post: Anyone beats me lower? What is the version of gvfs that includes the afc support? Is the iphone support already upstream in Conduit as well? gvfs 1.5.1 and later includes afc support and you need the development library of libiphone installed. The Conduit support is not upstream at all, since Conduit is partly being rewritten itself overall, I don’t know if it makes sense to upstream anyways… Thinking about writing some iSync equivalent just to handle this on Linux. However, you can use the python-iphonesync code to get all the data of your iPhone in a usable form already. 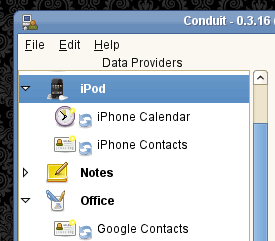 I’m able to see my iTouch using iFuse on my linux (Ubuntu) computer but when I run Conduit I don’t see the iPhone calendars & conducts available. How do you get those conduits to synchronize an iTouch with Evolution Calendar & contacts as well as Tomboy Notes? I am wondering if you know about the ‘vobject’ module for python? It allows you to parse vobjects such as vCalendar and vCard (and I think iCal as well). That can provide a way to sync calendars and contacts. I have played with it some to do my own sync but now that I can get inside (rather than use google calendar to sync) I should start up again. Have you done any work on syncing calendars and contacts recently? @Attila: Your glib or gvfs appears to mismatch. Update versions before compiling. It’s not an issue with libimobiledevice. The symlink should be run within the checked out source directory. @marcus: Conduit has no iPhone/iPod Touch support. The stuff demonstrated here is purely experimental. @George: Yes, I know the vobject module. However it is only for parsing vcards or iCal formats. It has nothing to do with syncing and the iPhone is not sending iCal/vCard formats either. 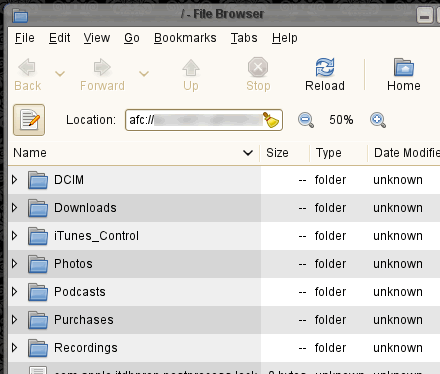 The most recent work can be viewed on http://cgit.sukimashita.com/python-idevicesync.git/ – As noted, only retrieving Contacts/Calendars/Bookmarks/Notes to your computer is supported in this version. Sending or “syncing” things onto the device is understood, but needs some time to be coded. So unless someone donates for this project or someone takes the task on it’s own there won’t be any progress on two-way syncing.